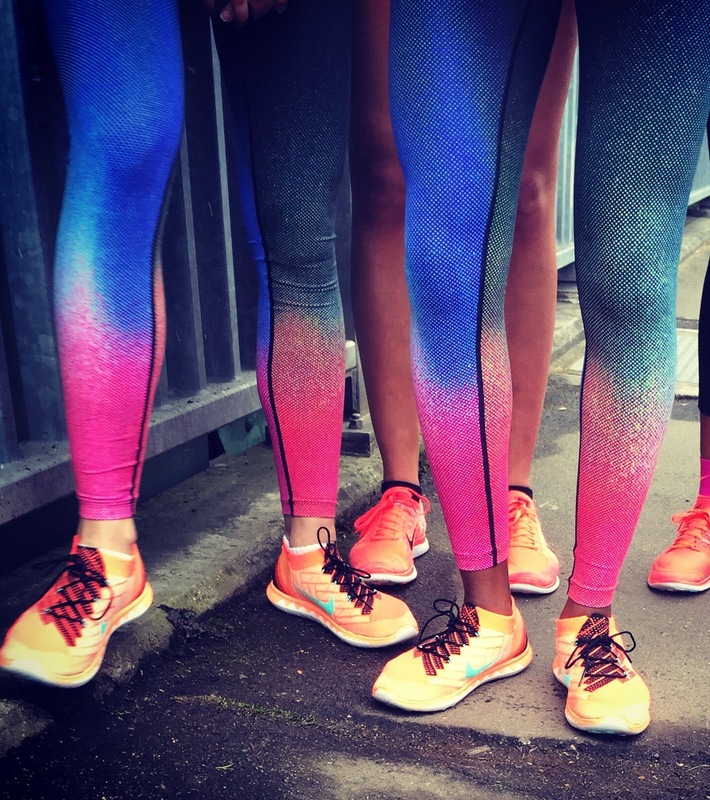 I’ve never been a huge fan of running trainers because they are just so…ugly! 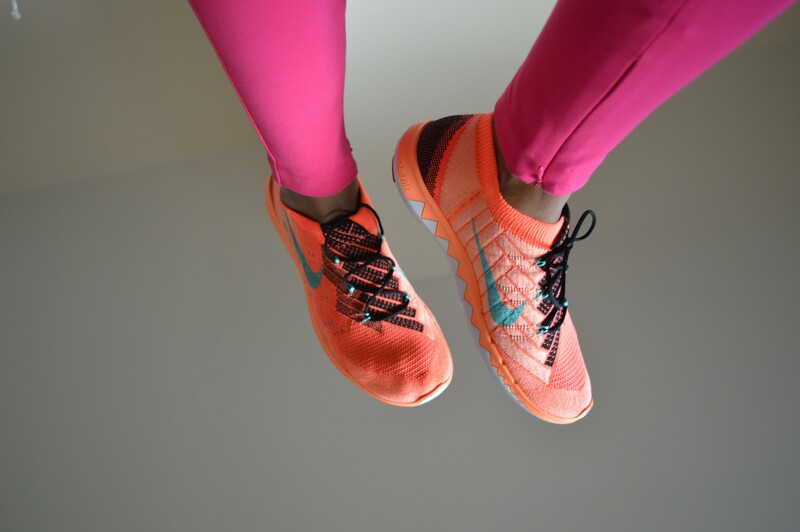 I used to begrudge spending money on running shoes, but that all changed in October 2014 when I found myself staring at a pair of hot pink Nike Free Run 3.0 Flyknit trainers. It was love at first sight and I bought them because I thought that they looked pretty. Since purchasing my first pair of Free Runs 3.0, my running has improved and I have discovered that these trainers are so much more than just a pretty face. Nike Free Run trainers are lightweight and they mirror the feeling of running barefoot by allowing your feet to move naturally and more freely than traditional running shoes. They move with your feet and there are three different models to choose from, 3.0, 4.0 and 5.0. The smaller the number, the lighter the shoe and I wear the 3.0 Flyknits. The barefoot feeling compliments my running style and I am running faster than ever. My Free Run’s are by far the most attractive trainers to have graced my feet, but before you are hypnotised by their beauty and make a purchase, read my guide to ensure that the Free Run 3.0 is the right running shoe for you because unfortunately they are not for everyone. 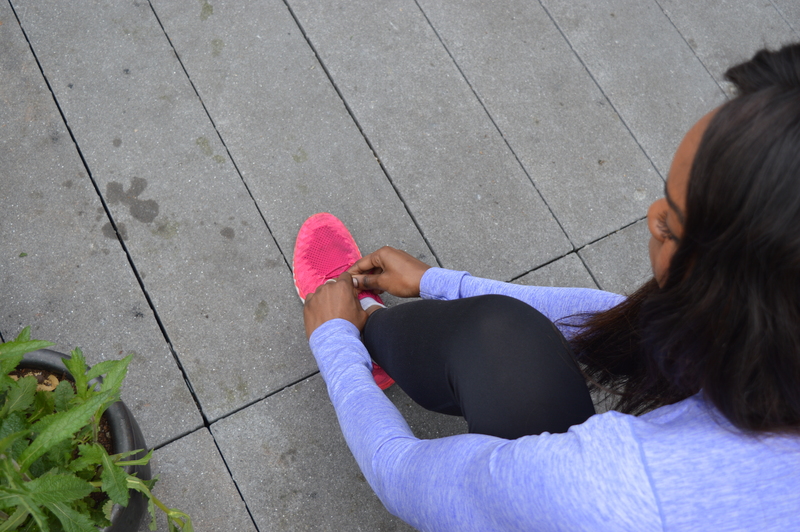 You should always listen to your feet, so do what feels comfortable in your running shoes. I usually run 5km-7km in the Free Run 3.0 and this is the distance that they recommend to run in this shoe. I regularly run 5km, so my feet are happy to do a 5km run in a shoe that closely resembles running without any shoes on. On the rare occasion that I decide channel my inner Paula Radcliffe and run further than 7km, I swap my 3.0’s for a shoe that offers me a bit more support. The Free Run 3.0 will have you using muscles that you didn’t even know that you had, so your feet may feel a bit sore after your first 2-3 runs. It will take a few runs before your feet adapts to the freedom of this shoe, so start off by running a few miles a week in your 3.0’s to strengthen your feet. I wear this shoe for both indoor and outdoor runs, but when it comes to outdoor running, I wouldn’t recommend doing a forest trail in these shoes! If you like to trek through the wilderness (uneven paths in the woods with lots of obstacles in the form of branches) this shoe isn’t for you! You will need a sturdy (and probably ugly) pair of running shoes for that! Stick to park/road and treadmill runs. The 3.0 flyknits hug your feet; so don’t be alarmed if you find that your shoes are getting up close and personal with your feet. Lots of people wear these trainers without socks, but I prefer to wear them with socks. If you are unsure about the size, try a half size and see how they fit. There is nothing worse than running in a pair of trainers that are too small. I am a neutral runner and I have been running for a few years so my feet quickly adapted to the barefoot feel. These shoes are comfortable to run in and the Flyknit material is a lot more supportive than it looks. I run in these shoes around four times a week, but If you are new to running, try the Free Run 5.0 as this shoe still gives you the barefoot feel but it offers more support.